So many studio builds and refurbishments are built from scratch on site which takes time and can be disruptive to the business and neighbours. we have heard about a different approach that a new company, Smart Studio have developed. They use active acoustic technology and modern building techniques and materials, enabling studios to be designed and built off site and then delivered and installed on site with the minimum of disruption and time lost for the studio build. To explain how Smart Studios' approach is different we are going to describe an example of one of their installations which actually happens to be very close to me. suites, 6 dubbing theatres, 3 voice over booths and a Da Vinci Resolve Grade suite. Smart Studio installed two 5.1 Dubbing Suites and a VO booth for Flix Facilities in their new premises in the White Tower in Media City, Manchester. 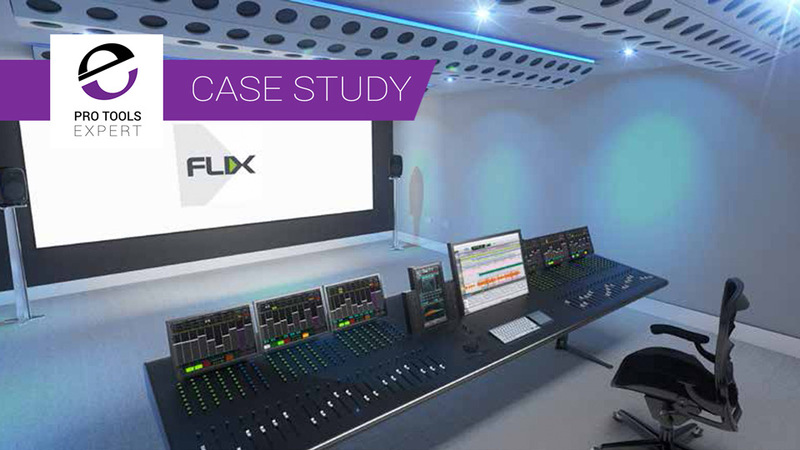 The project entailed the design, offsite manufacture and installation of a complete dubbing suite. and installation of a second dubbing suite. manufactured off-site, the complete system was delivered to site on a just-in-time basis, which in this situation was an essential requirement as storage space on-site was very limited. The Smart Studio design and production team used their extensive knowledge in regard to speaker, projector and screen installation. Smart Studio pride themselves with their background and experience in the delivery of integrated studio solutions as well as knowing how a professional audio dubbing facility works, which isn't always the case with general building contractors who don’t tend understand the requirements for studio fit outs and so need close supervision to achieve a successful outcome. Once the Smart Studio Interior fitout was completed the final aspect of the project was the calibration of the 5.1 monitor speaker system in each control room. With the base acoustic design covered, the final phase of the installation was the alignment of the Genelec 5.1 speaker system. Using the Smart Studio BBX5.1 DSP processor the feeds to the monitor speakers were time aligned to ensure an accurate monitoring sound field at the mix engineer position. Smart Studio claim that they can reduce the costs by up to 30% using the combination of off-site design and factory construction combined with rapid on-site construction. We understand that they also can offer integration of services, contemporary and bespoke interior design from an experienced studio design team.